Table-topper Manchester City sit marginally above Manchester United on goal difference after both sides won their first three league games but the Citizen swill miss Sergio Aguero for the crucial clash on Saturday. 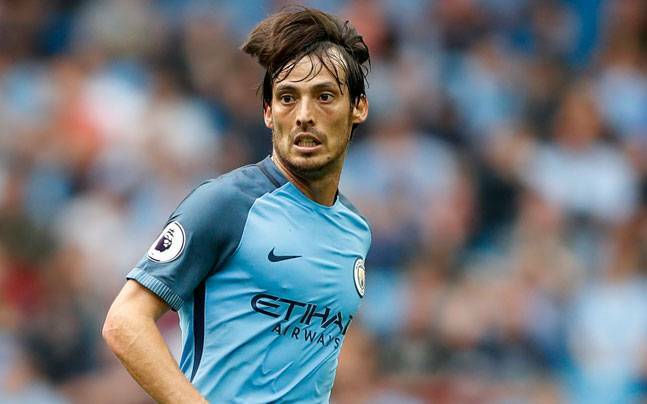 Nothing less than victory will do for Manchester City in Saturday’s feisty Premier League derby against Manchester United, playmaker David Silva has said. Silva, who scored both goals in Spain’s friendly win over Belgium last week and two more against Liechtenstein in their World Cup qualifier on Monday, has featured in all of City’s league games this season under manager Pep Guardiola. Table-topper City sit marginally above United on goal difference after both sides won their first three league games. “It’s going to be a very beautiful game. The two teams arrive to this game having taken good results and after making wholesale changes in every sense,” the 30-year-old told Spanish radio station Cope. City have won three times and drew one in their last five top flight meetings with United at Old Trafford. “It’s a ground where in the last few years things have gone okay for us. We know they are a very difficult rival – but we won’t settle for a draw,” Silva added.